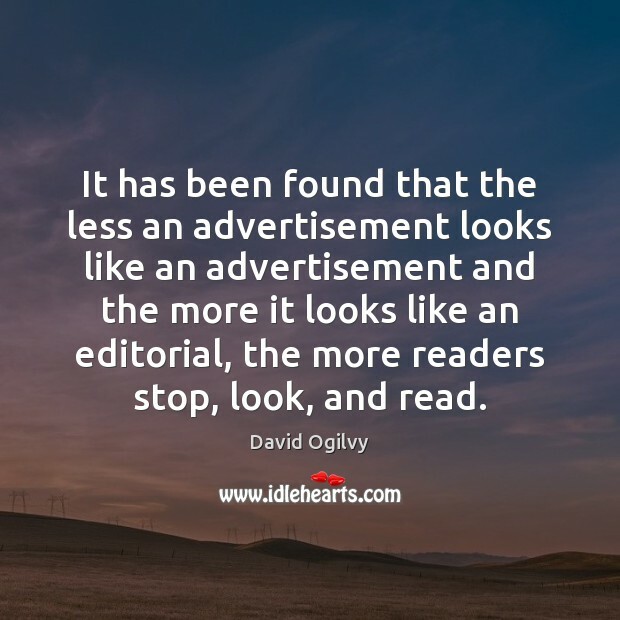 Quotations about Advertisements. Quotes to stimulate mind and drive action! Use the words and quote images to feed your brain inspiring things daily! This culture seems to be so obsessed with sexuality, the good and the bad of it. Every advertisement, every preacher, everybody's concerned, one way or the other about sexuality. 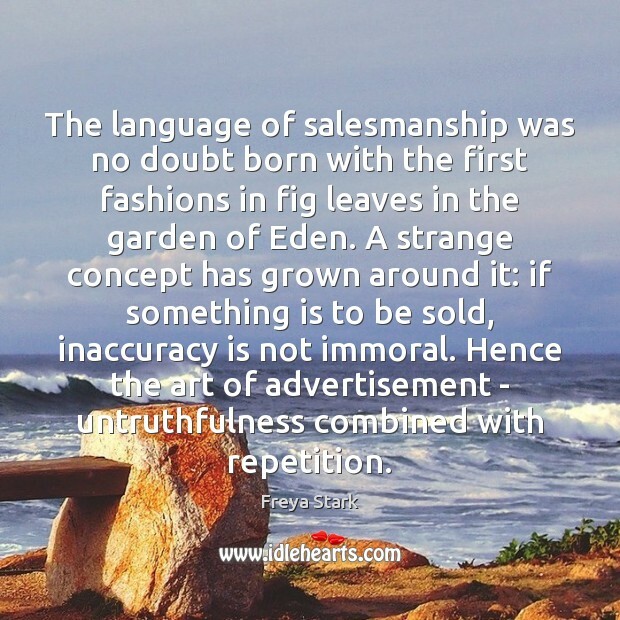 The language of salesmanship was no doubt born with the first fashions in fig leaves in the garden of Eden. A strange concept has grown around it: if something is to be sold, inaccuracy is not immoral. 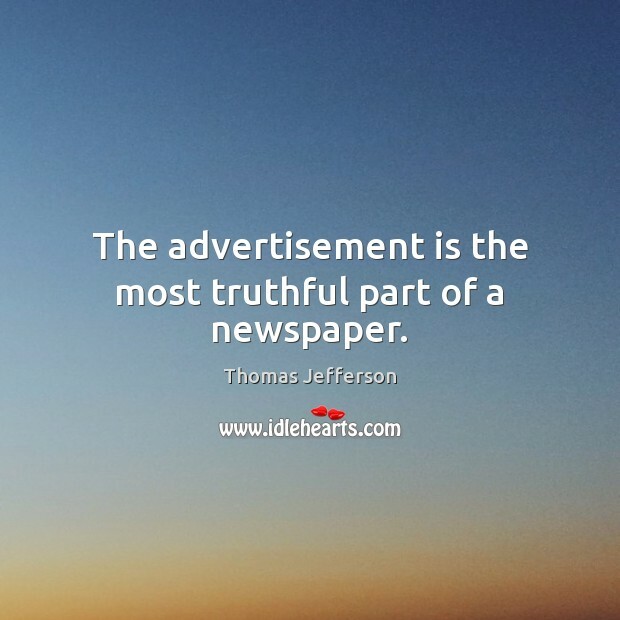 Hence the art of advertisement - untruthfulness combined with repetition. There is no need for advertisements to look like advertisements. 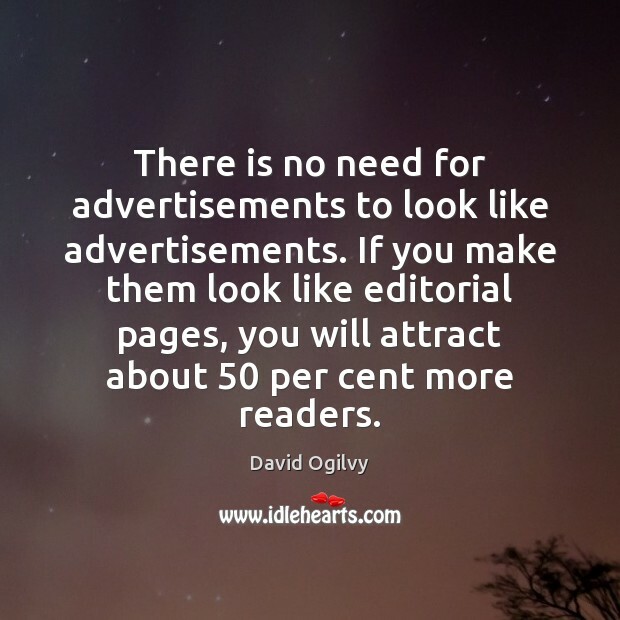 If you make them look like editorial pages, you will attract about 50 per cent more readers. What is a magazine? 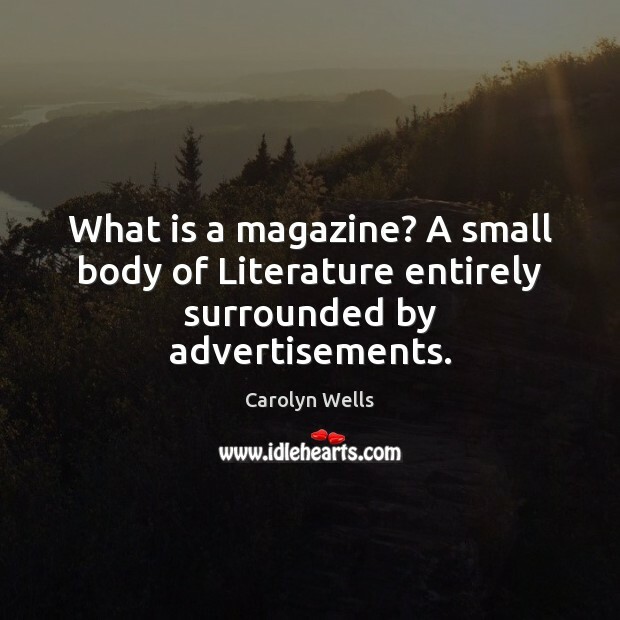 A small body of Literature entirely surrounded by advertisements. 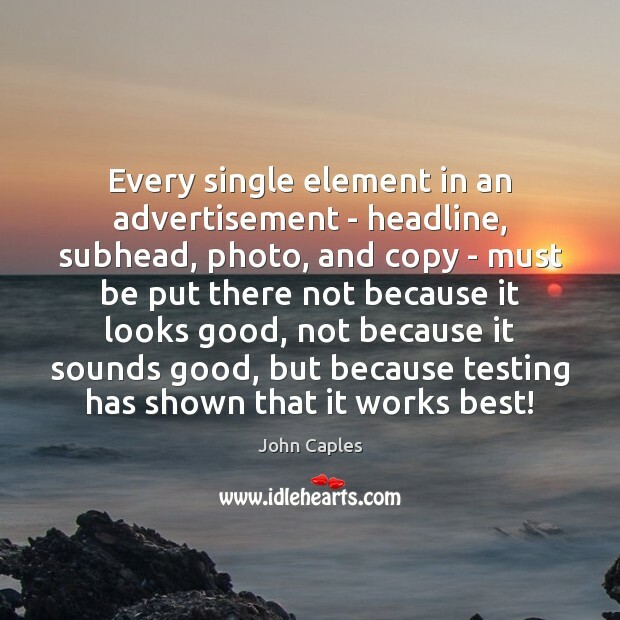 Every single element in an advertisement - headline, subhead, photo, and copy - must be put there not because it looks good, not because it sounds good, but because testing has shown that it works best! 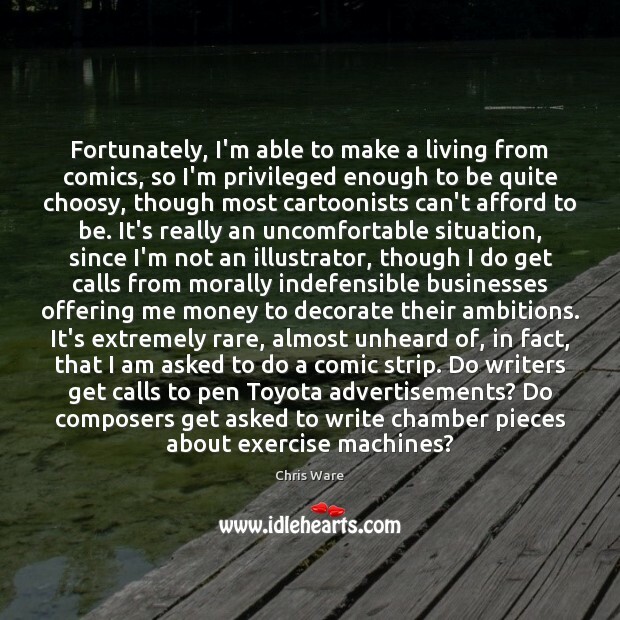 Fortunately, I'm able to make a living from comics, so I'm privileged enough to be quite choosy, though most cartoonists can't afford to be. It's really an uncomfortable situation, since I'm not an illustrator, though I do get calls from morally indefensible businesses offering me money to decorate their ambitions. It's extremely rare, almost unheard of, in fact, that I am asked to do a comic strip. Do writers get calls to pen Toyota advertisements? Do composers get asked to write chamber pieces about exercise machines? 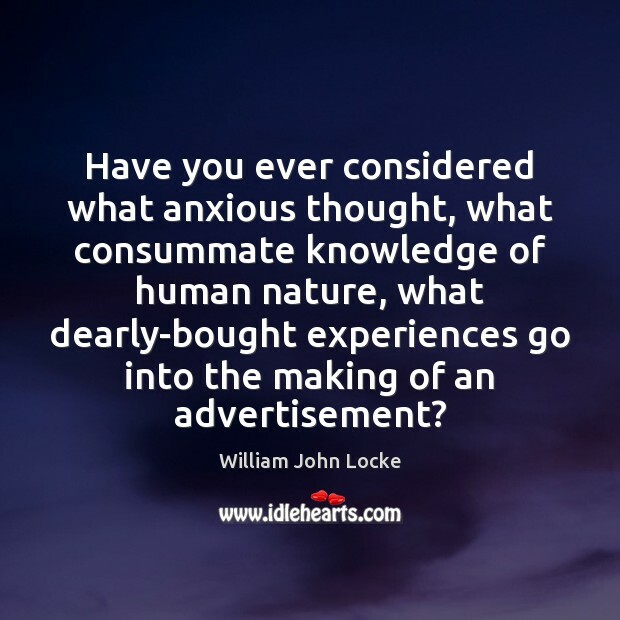 Have you ever considered what anxious thought, what consummate knowledge of human nature, what dearly-bought experiences go into the making of an advertisement? 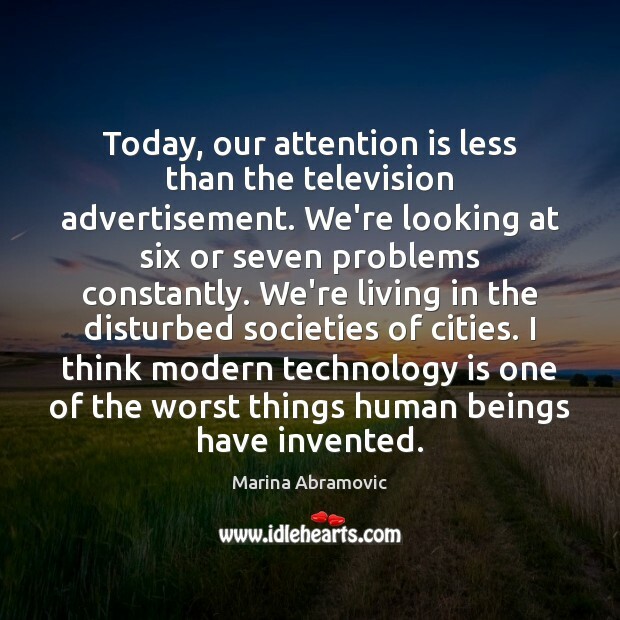 Today, our attention is less than the television advertisement. We're looking at six or seven problems constantly. We're living in the disturbed societies of cities. I think modern technology is one of the worst things human beings have invented. 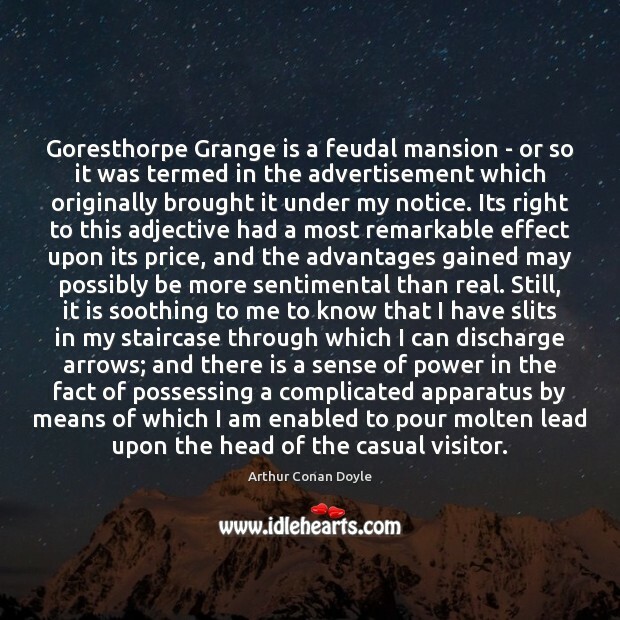 Goresthorpe Grange is a feudal mansion - or so it was termed in the advertisement which originally brought it under my notice. Its right to this adjective had a most remarkable effect upon its price, and the advantages gained may possibly be more sentimental than real. Still, it is soothing to me to know that I have slits in my staircase through which I can discharge arrows; and there is a sense of power in the fact of possessing a complicated apparatus by means of which I am enabled to pour molten lead upon the head of the casual visitor. 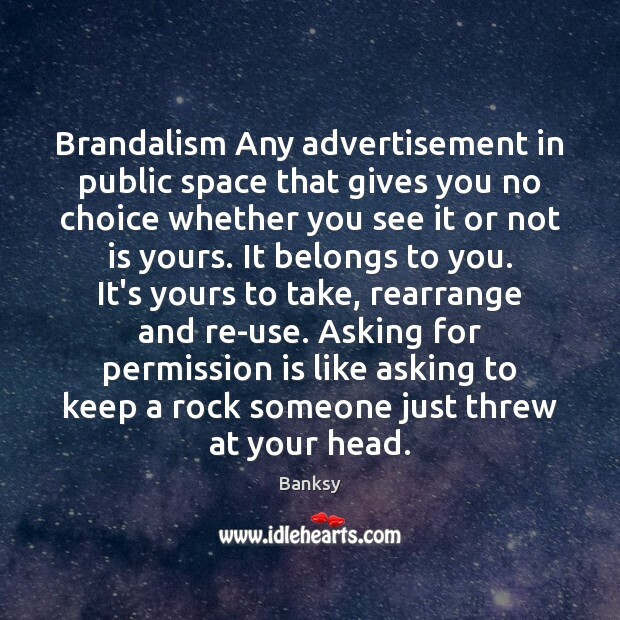 I do not regard advertising as entertainment or an art form, but as a medium of information. 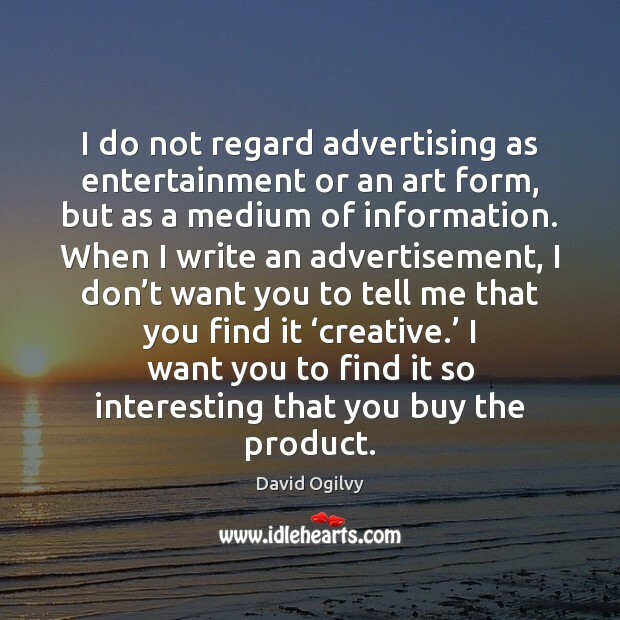 When I write an advertisement, I don’t want you to tell me that you find it ‘creative.’ I want you to find it so interesting that you buy the product. 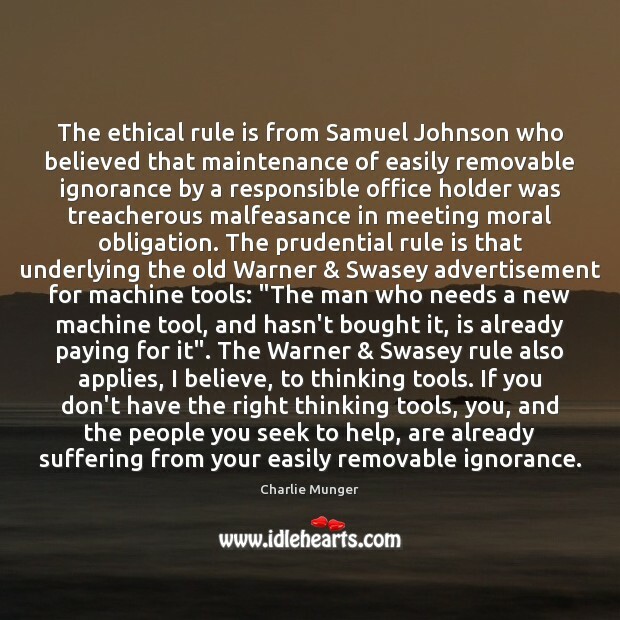 The ethical rule is from Samuel Johnson who believed that maintenance of easily removable ignorance by a responsible office holder was treacherous malfeasance in meeting moral obligation. The prudential rule is that underlying the old Warner & Swasey advertisement for machine tools: "The man who needs a new machine tool, and hasn't bought it, is already paying for it". The Warner & Swasey rule also applies, I believe, to thinking tools. If you don't have the right thinking tools, you, and the people you seek to help, are already suffering from your easily removable ignorance. A good headline can make an advertisement good even if the picture is poor. Brandalism Any advertisement in public space that gives you no choice whether you see it or not is yours. It belongs to you. It's yours to take, rearrange and re-use. Asking for permission is like asking to keep a rock someone just threw at your head. 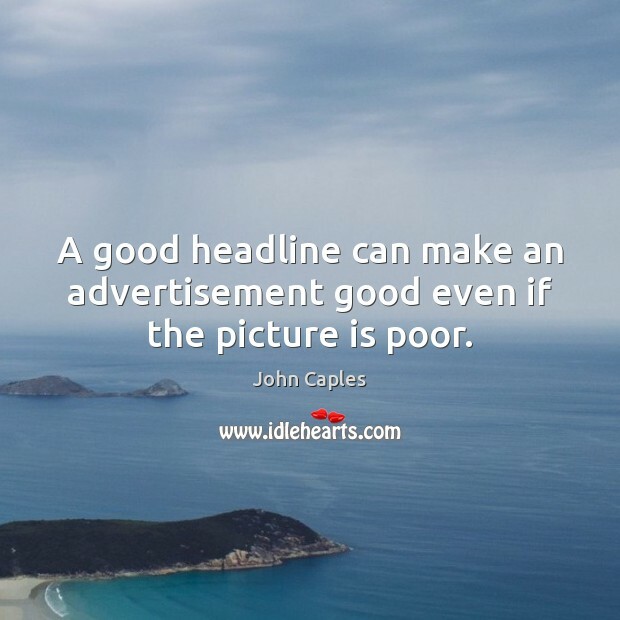 Get the big point of your advertisement into your headline. 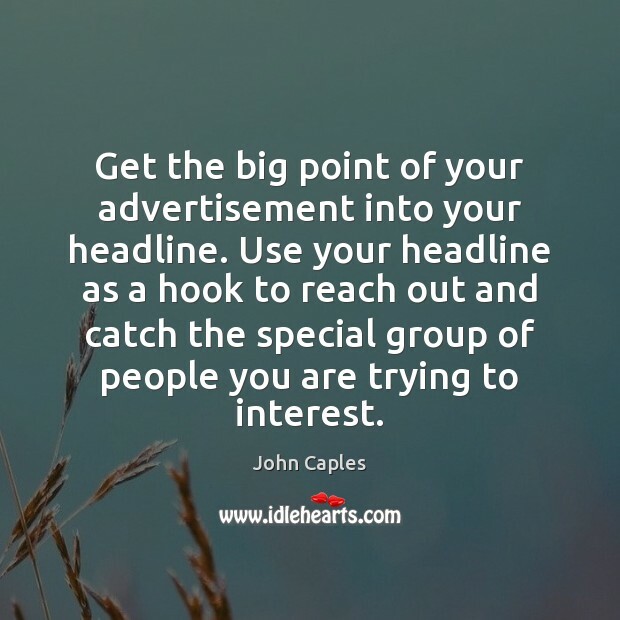 Use your headline as a hook to reach out and catch the special group of people you are trying to interest. 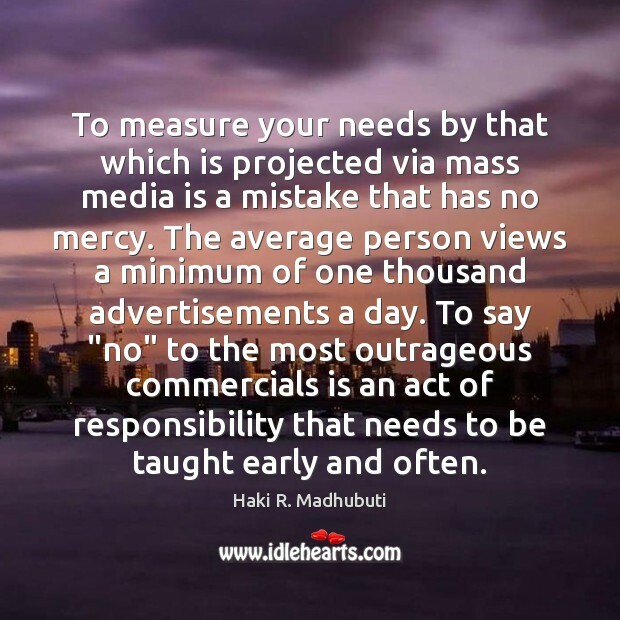 To measure your needs by that which is projected via mass media is a mistake that has no mercy. The average person views a minimum of one thousand advertisements a day. To say "no" to the most outrageous commercials is an act of responsibility that needs to be taught early and often.